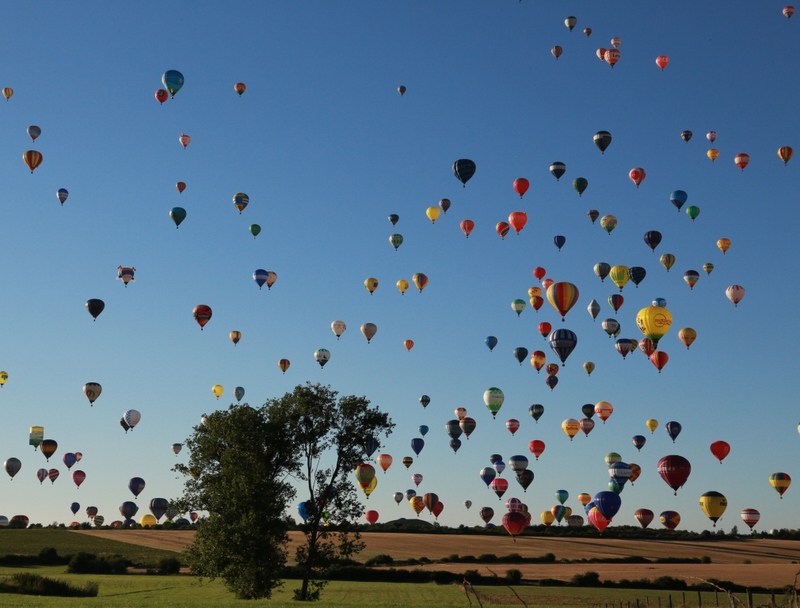 Lorraine Mondial Air Ballons® 2015 is in Lorraine region, “Nowhere else...”, aviation land par excellence (we never tire of recall it). The region where was born the first man to fly, Jean-François Pilâtre de Rozier. This year promises to be simply HUGE because everything is so gigantic. Its world record on July 31th, 2013 with 408 balloons (approved by the Guinness World Records). Its place, the airfield of Chambley Planet’Air with 486 hectares. Its event, LMAB® with 3000 pilots and crews. Its ten-day celebration with more than 300.000 visitors. And of course the Pilâtre de Rozier Organisation team and 160 volunteers. From July 24th to August 2nd, discover, be amazed and share the happiness to be together at LMAB® 2015!